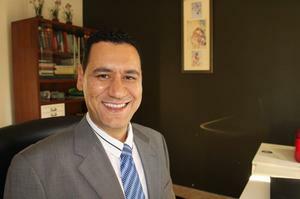 Prior to his appointment at the UWA, Assoc/Prof Karrech was a Senior Research Scientist at the Commonwealth Scientific and Industrial Research Organisation until July 2012. He had also held the position of Assistant professor at the Petroleum Institute of Abu Dhabi (2007-2009). Assoc/Prof Karrech obtained his Habilitation to Direct Research in Engineering Sciences from the Ecole Normale Supérieure de Cachan (Paris, France) in 2013, his PhD and MSc in Materials and Structures from the Ecole Nationale des Ponts et Chaussées (Paris, France) in 2007 and 2004, respectively, and his Multidisciplinary BEng from the Ecole Polytechnique de Tunisie (Tunisia) in 2001. Assoc/Prof Karrech research expertise is in computational geo-mechanics for resource engineering applications. • Acting director of the Structures Laboratory (Feb. 2015- Jan. 2016). • Australian Concrete Institute (ACI). • Associate Professor Ali Karrech 2016, 'Benign Recovery of Precious Metals from Deep Pristine Environments', ARC Discovery Projects. • Professor Klaus Regenauer-Lieb, Doctor Christoph Schrank, Associate Professor Ali Karrech, Dr David-Alexandre Boutelier 2015, 'Finite Strain with Large Rotations - A New Hybrid Numerical Experimental Approach', University of New South Wales ex ARC Discovery Projects.